Odoo is a place where work can become easy and sorted especially when there is a bulk of data. It is particularly designed to help big business industries and organizations so that entrepreneurs can mainly focus on their business goals and objective without worrying about the management and other stuff. Moreover, these applications particularly help to maintain a decorum of any organization and sort the data whether it is in a form of figures, graphs or documents. Odoo also particularly deals with the management of documents and data that is in bulk. With the help of Odoo documents, entrepreneurs can share documents easily while having multiple options regarding sending, categorizing and many more. There are numerous facilities which include generation of vendor bills, task sheets, product sheets and other documents that include data from manufacturing of products to delivering it to end-user. These documents tend to keep all the process data safe, usable and accessible while also prevents to have confusions and time-consuming labor. Databases have been in use from ages for these purposes while keeping that data in a form that all can understand is called documents. Certainly, these documents are being used for multiple purposes from ages and are fulfilling needs of businesses while what Odoo offers is not much different in functionality but is really admirable for quality and keeping things up to date and up to mark. 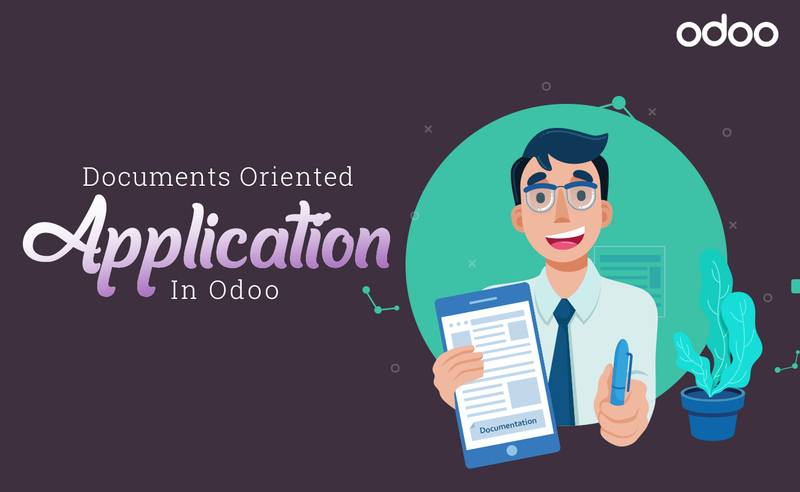 Companies do not need numbers of employees to maintain the document while also do not need to worry about confidentiality because Odoo documents provide these all features to its users. It helps users to work more effectively in a technical environment while also avoid numbers of human errors that may occur it process of documentation is done manually. Furthermore, these documents allow users to access and share the data with only authorized persons and keep everything confidential from others. Documents for any type of work are always essential, and Odoo documents will not only fulfill documentation needs of business, but it will also enhance an area of management on a single platform. For instance, it is often hectic to use multiple platforms for a different kind of work and management whereas all the tasks are related to same business, Odoo provides leniency to use same and familiar platform for multiple processing and task management which is significant in an aspect of saving time. Thus, Odoo evolution has stepped another step forward towards management of complexed business processes and entangled situations and probably this step will be utilized for betterment in profit and product quality.